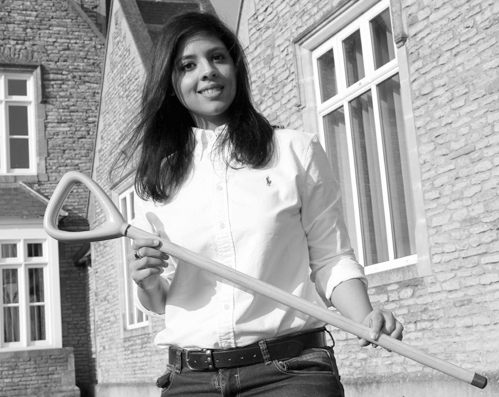 Born in Pakistan, Neha Chaudhry has won nearly £100,000 of investment to develop her pioneering walking stick for people with Parkinson’s, which helps prevent a common symptom known as ‘freezing’ of gait – the sudden inability to walk. She has been in the UK since 2010 and began working on the device while studying for her degree in product design technology. 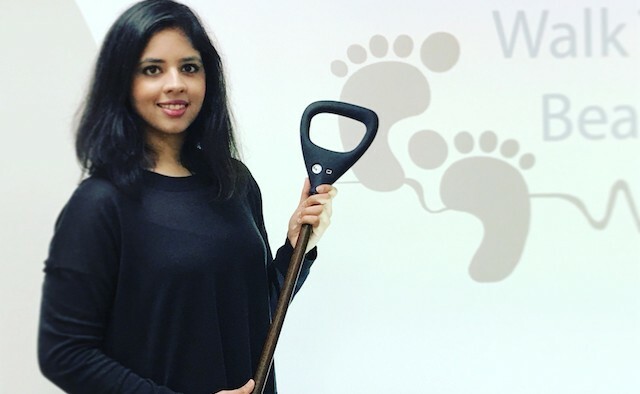 Her invention, Walk to Beat, uses sensors, which detect when a patient freezes and send rhythmic vibrations through its handle, to encourage smooth walking gait. 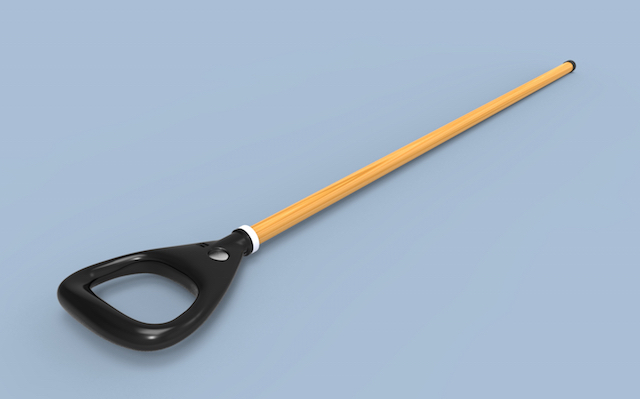 Neha Chaudhry, director of the tech company Walk to Beat and inventor of a vibrating Parkinson’s walking stick, will be allowed to stay in the UK after the Home Office overturned an initial decision rejecting her application for a visa. Neha was told last month that she must either leave the country or file an appeal – after she mistakenly sent the wrong version of a single document in a 66-page form in her application for a three-year entrepreneur’s visa. On 12 June, Neha received another letter from the Home Office – this time over-turning the original visa rejection. The letter said that they had withdrawn the original decision because they’d found an error made by the decision maker. 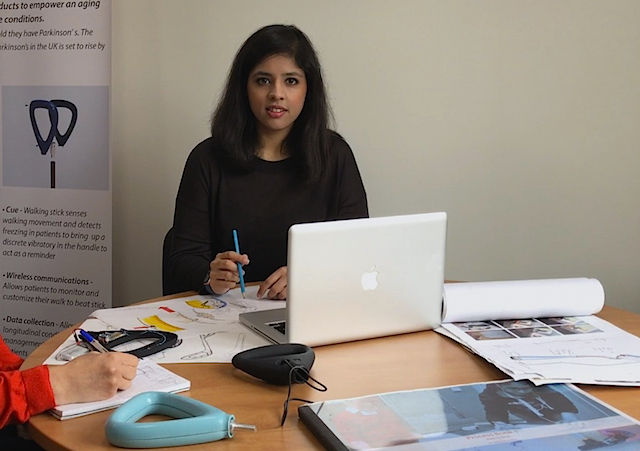 Neha gained support from the wider Parkinson’s community including the many members of the Parkinson’s UK Bristol and District Branch, where around six members test her prototype on a regular basis. Tom Phipps, who lives with Parkinson’s and is the chair of the Parkinson’s UK Bristol and District Branch, said: “We are heavily involved in her project, it was almost railroaded so we mobilised to support her. I helped Neha contact the local MP for Bristol South, Karin Smyth. Neha has already won several awards for her invention, and has now also been shortlisted for two different prizes at the annual digital and technology awards the ‘SPARKies’. Neha said: “I’m now getting back on track and moving towards finishing the developmental work and clinical trials to bring the product to people with Parkinson’s. I’m overwhelmed with the support and concern people have shown in this matter. “I want to thank all of them from the bottom of my heart for sending me emails, messages and putting up the effort. It kept me going, as it meant I didn’t feel alone.